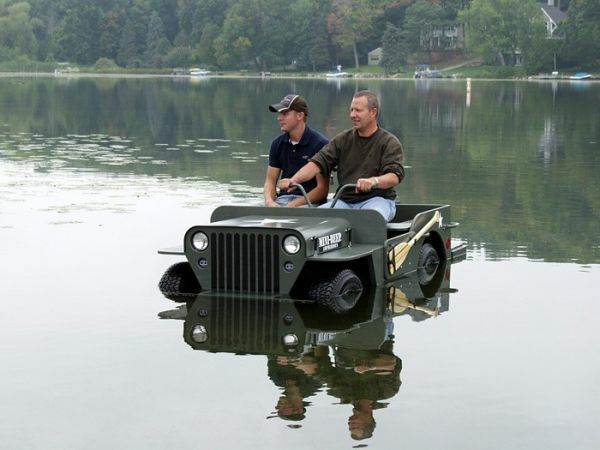 The MINI-BEEP® Off Road Truck was a less expensive version of an ATV or golf cart. It was a 4/5 scale, d-i-y kit version of a World War II Willy’s JEEP®, made out of plywood with a steel mechanical 2WD or 4WD drive system. Depending on how the plywood body was finished, it could be amphibious as well. Only warranty and wearing parts are available to purchase. Items such as tire kits can be located through local vendors. A hard copy of the MINI-BEEP Off Road Truck body plans / assembly manual is still available by giving us a call at 1-877-828-8323. The price is $49, plus shipping. The manual has drawings with dimensions, so you can cut out your own plywood body out of 5 sheets of plywood. Some customers have adapted the body plans to fit golf carts. No steel mechanical parts are available. Must find your own drive system to adapt to the unit. Additional downloads are available below. Call for parts pricing on any warranty issues.